Repair or Replace your current A/C unit? A/C Care Heat & Air can help! Expert Advice For Your Home Cooling Decisions – Should you opt for air conditioner repair services or air conditioning installation services? If your air conditioner breaks down, you’re faced with a choice, either Repair or Replace your current A/C unit. In making that decision, here are some important points to consider. Age of your Air Conditioner? If your AC is only a few years old, you should automatically make the decision to repair it. However, fi the unit is over 10 years old, consider replacing it. Air conditioners wear out over time, and our warm Florida climate puts them through the paces keeping us cool and the humidity down. We have a high number of cooling degree days, and air conditioners in Florida often the unit still runs during the winter months. If your AC has a clean maintenance and repair history, lean toward repairing. Annual maintenance can extend the life of an air conditioner, and our professional technicians can let you know if there are potential problems that should be considered here as well. On the other hand, if the AC has not been maintained and repairs are becoming frequent, it would make sense to replace it and could save you money in doing so. This is an important part of deciding whether to repair or replace your current A/C unit. If your experiencing high electricity bills or noticed that they are higher than normal, replace your AC. An air conditioner installed years ago is not going to be as energy efficient as a newer, more advanced model. Air conditioners become less efficient with age. New air conditioners are much more efficient than most systems installed just a few years prior. Replacing your inefficient AC with a high-efficiency model can lower your lifetime costs and save you money overall. General Condition of your unit? 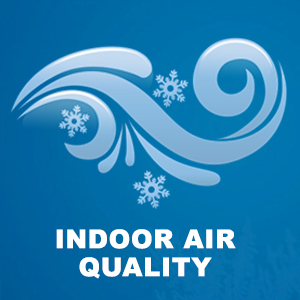 If you have high humidity, dust or noise levels from your AC, it might be time to replace it. Such annoyances are signs that the AC system is worn out and not functioning correctly. At A/C Care Heat & Air, our goal is to help educate our customers about energy and home comfort issues (specific to HVAC systems). We provide Air Conditioning repair and A/C installations in St. Lucie and Martin Counties in Florida. 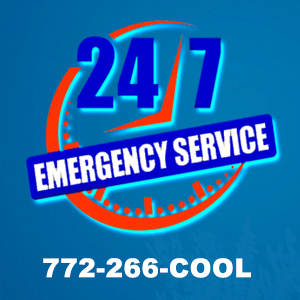 Air conditioning services in Stuart, Palm City, Jensen Beach, Port St. Lucie, Fort Pierce and the surrounding areas. Limited time offer. Expires 11/17/17. Call (772) 266-2665 now for COOL savings.